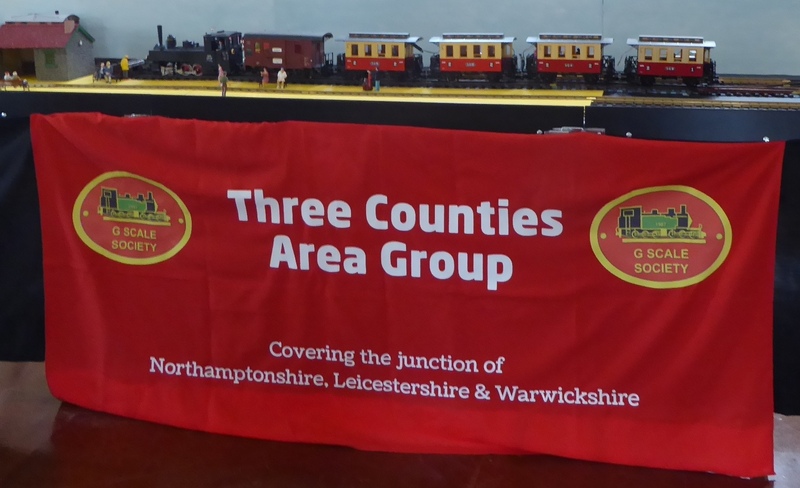 The Three Counties group for G Scale Society members in Leicestershire, Northamptonshire and Warwickshire. 3CAG for short! The group was formed around 2005 from a loose association of friends who helped to construct and operate a giant privately owned permanent G gauge layout housed in a garden centre greenhouse. However, the nursery business was sold complete with the working layout and stock, 3CAG access became ever more awkward, and the group’s activities diminished slightly. But we overcame this obstacle and managed to keep holding meetings at member’s gardens during warmer weather. But we really needed an indoor venue with our own layout. In 2016 our own sectional 24 x 14 ft indoor layout was constructed and permanently set up in a church hall, so we can meet regularly during the winter and have running sessions. It can be dismantled and taken to shows, it was at G Rail in 2017 and has at least one show booking for 2018. Work is continuing on the layout, the trackplan is still evolving, once this is finalised, scenic work will start. During more favourable weather, generally April to October, we have a monthly garden railway visit programme in the 3 Counties area hosted by members. Although we have sneaked outside our patch a couple of times….don’t tell anyone! In the past two or three years, about half of the 3CAG layouts we visited were digital ( mostly Massoth/Piko ) which can run a single analogue loco, the remainder being analogue from either conventional track power or radio control, or live steam. It’s quite acceptable just to turn up and chat, even better if you bring something to run! Like most clubs, we have a varied membership, with a core of active members. We don’t have a membership charge, but there is a donation box at every meeting, which has funded construction of our group layout. To be a 3CAG member, you must also be a current member of the G Scale Society. Please contact the group leader if you wish to join.